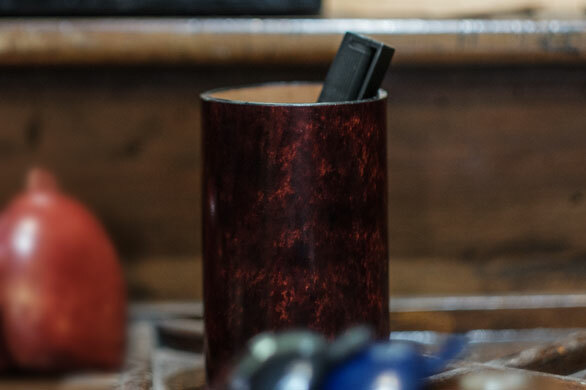 Born from the Florentine tradition of cuoietto leatherworking, this Table Pen Holder is designed and made entirely in Florence by Master Craftsman Giuseppe Fanara, who has practiced this craft for more than thirty years. 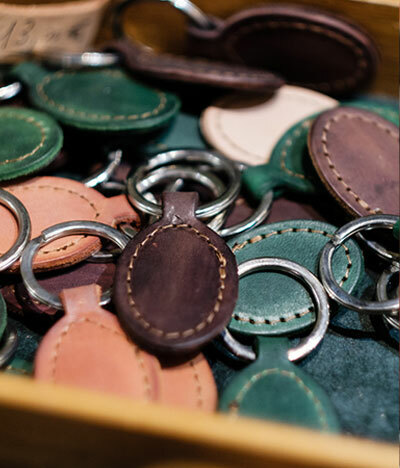 This product is made entirely from natural leather that is tanned with vegetable extracts in Tuscany and then dyed by hand. It is a classic object, very useful for keeping pens and pencils close at hand on an office table or on your desk at home. The Table Pen Holders are made to order and customers may choose the colour they prefer. The Pen Holders can be personalised with the initials of your name or with a number (up to a total maximum of 2 characters). Being a custom-made object, it is also possible to choose the colour. These objects are made entirely in our workshop in FLORENCE by Giuseppe and Mirko, from cowhide that is tanned with vegetable extracts in Tuscany and then dyed by hand. The Table Pen Holder, made of thick, moulded, vegetable-tanned leather, is a classic, elegant object for your home or office. 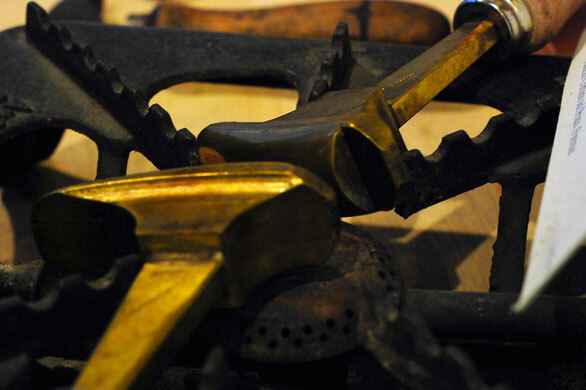 These objects are made to order in approximately 30 days, and measure 12 cm (height) by 7 cm (diameter).